We’ve covered several smart plugs or switches capable of monitoring electricity consumption and displaying results right in a smarphone app, or computer’s web browser with products such as Sonoff S31 or Broadlink SP2 WiFi smart sockets, or Sonoff POW switch. Those work for individual plugs, but if you want to cover your full house, you’d need several of those, and in some case it may not be so convenient as no plugs may be available for example for lights or air conditioner. 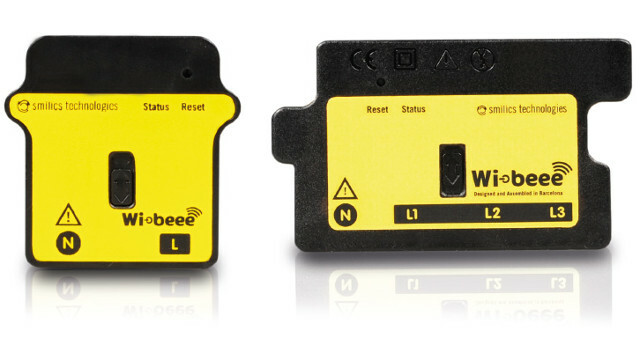 Smilics Technologies has come up with an easier method, although less granular, thanks to their WIBEEE device that clips to your fuse / circuit breaker box using DINZERO “clip-on” technology, and available in single and three phase models. Hardware installation is explained in the video below, and it looks very easy not requiring a certified electrician for installation (although you may want to check your country regulations and/or home insurance company first). Once the device is clipped to your fuse box, it will power on and start in access point mode. 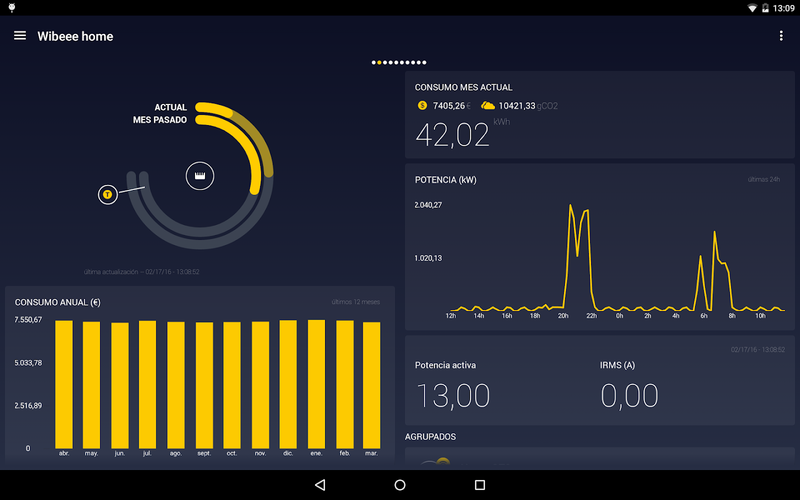 You can then install the Android or iOS app to complete configuration, or access the web dashboard from any browser using 192.168.1.150 IP address, where you’ll be able to see details daily power consumption, expected bill, and monthly power consumption. You’ll find more details including a multilingual user manual on the product page. The downside is that it appears to be for sale in Spain only, and the only English speaking website I found is AlphaOmega Electronics which offers the single-phase version for 135 Euros, and the three-phase model for 190 Euros. Wibeee is also sold under the CIRCUTOR brand on Carlos Alcaraz online shop (Spanish only). 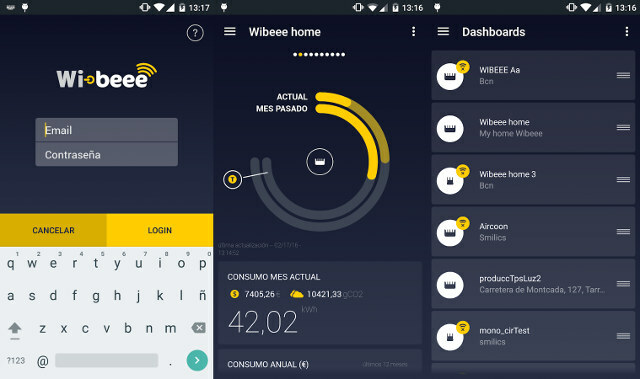 If you’re interested in other smart power monitoring solution, you may want to browse Wibeee website as they have other products suitable for both home and industrial markets.